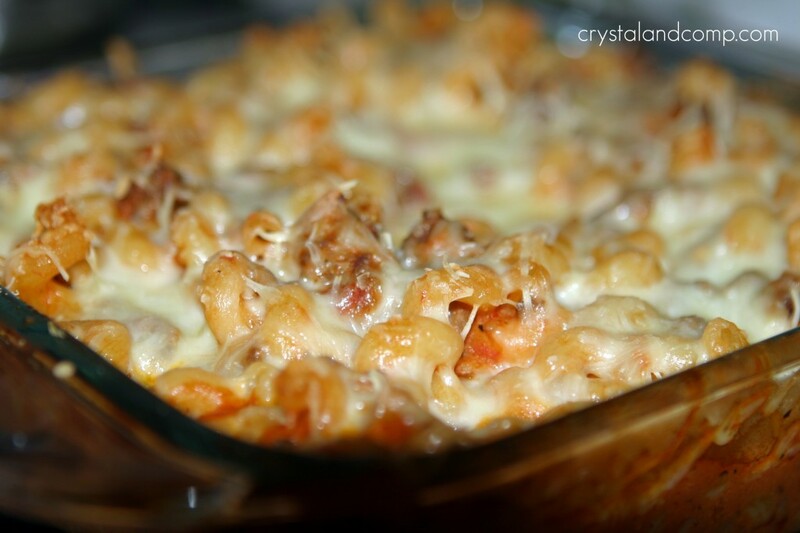 A while back I found a recipe on Pinterest for a pepperoni pasta bake. The recipe called for a potato pasta I was not sure my kids would eat, so I knew I would give it my own spin. 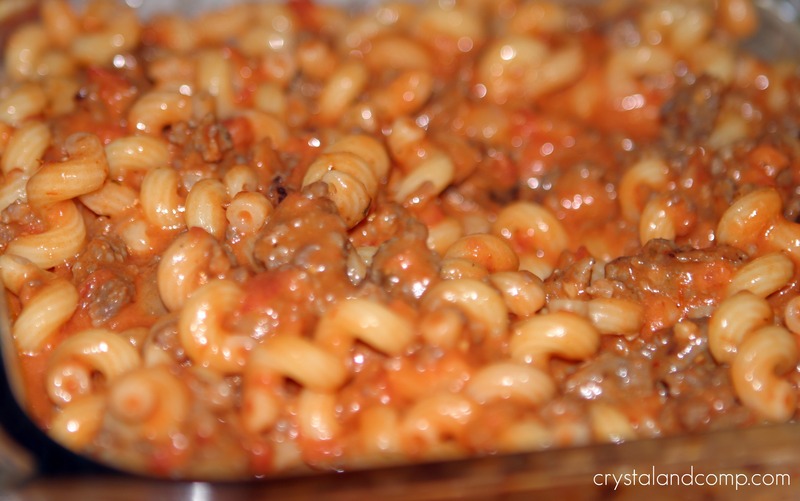 I traded out the potato pasta for a spirally pasta and opted for crumbled Italian sausage instead of pepperoni. 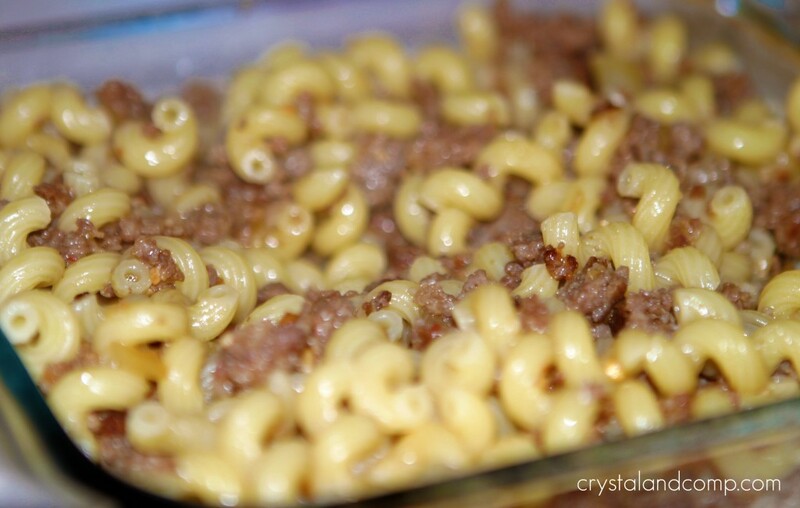 In a skillet, cook the ground sausage, onion, garlic, salt and pepper over a medium heat. While this is cooking, boil enough water in a large saucepan to cook your pasta. 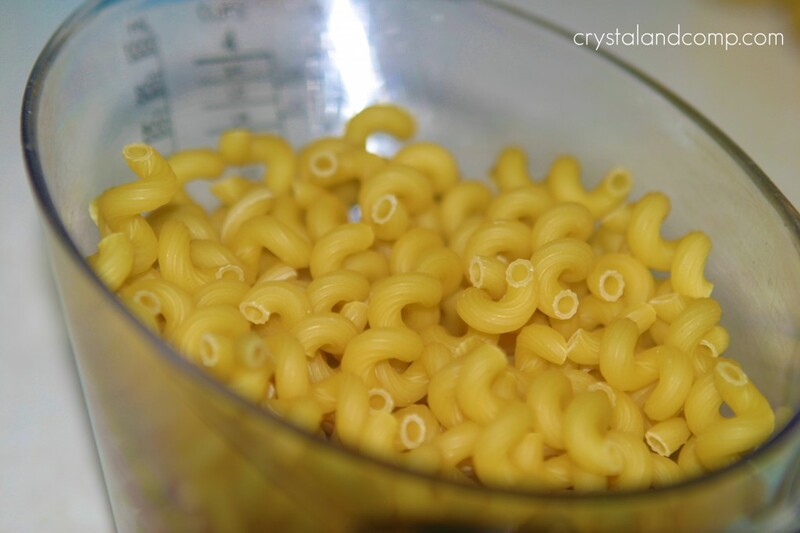 Once your saucepan of water begins to boil, cook your pasta. You just want to cook it until it is al dente. Once the pasta is al dente, drain it. 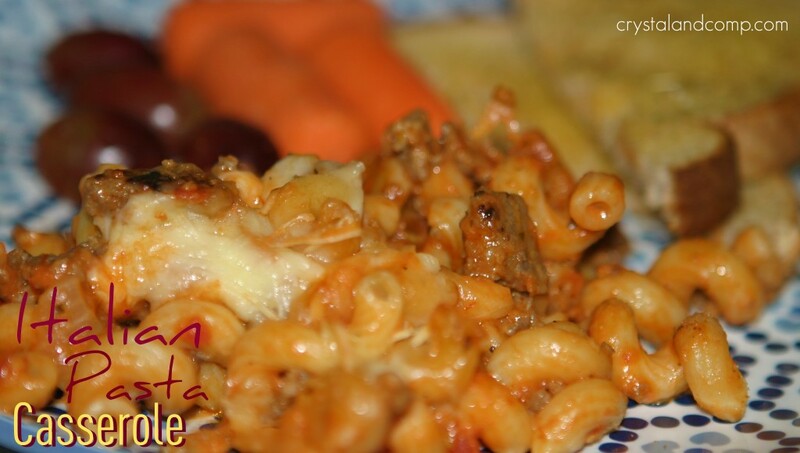 Combine the cooked Italian sausage and pasta in a square casserole dish. Add one jar of your favorite spaghetti sauce. 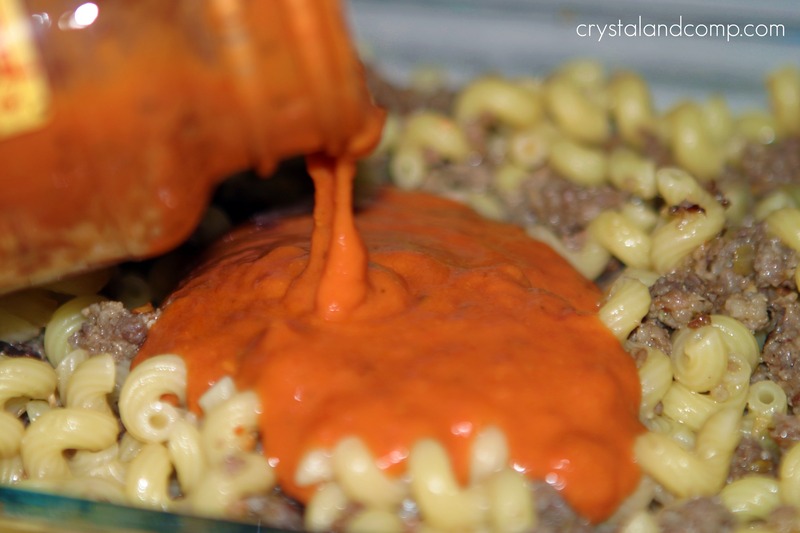 I used a pink sauce. 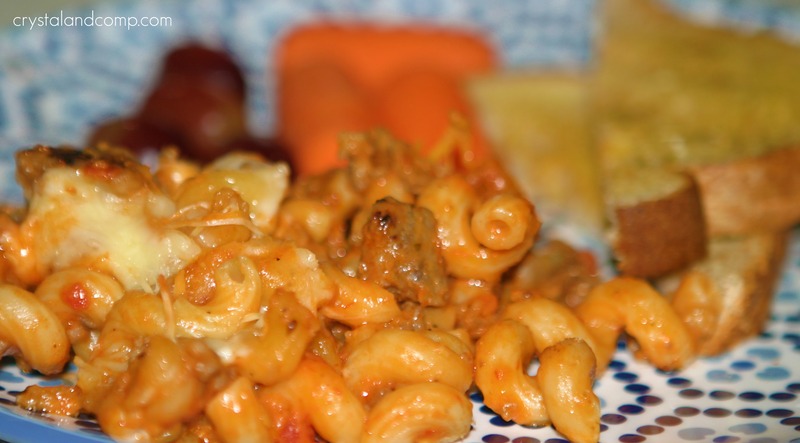 Mix well and thoroughly coat all of the pasta and sausage. 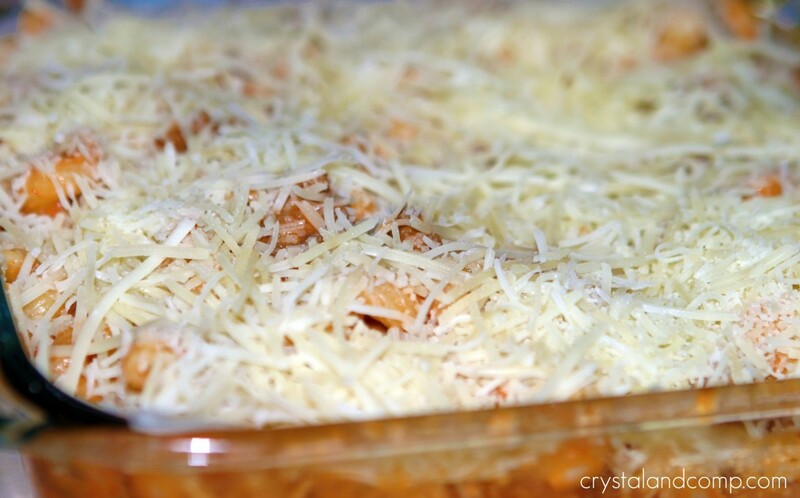 Cover the top of the pasta with cheese. Pop the casserole dish in the oven for about 20-30 minutes, until the cheese is bubbly. Plate it up and serve. I served it with toasted wheat bread, carrot sticks and grapes. 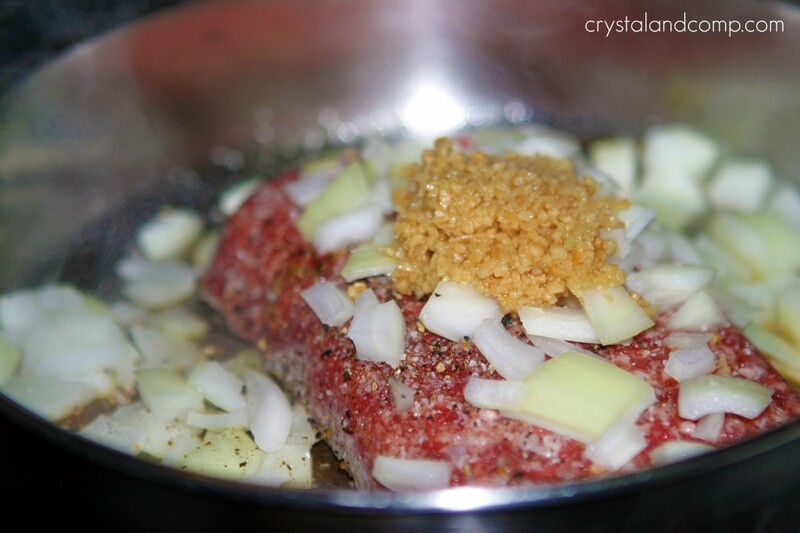 In a skillet, cook the ground sausage, onion, garlic and salt and pepper over a medium heat. Hopping over and loving your blog!! This looks so yummy! Yummo! Great post and thanks for sharing! This is definately something I would try. It looks yummy!!! We would love you Casserole, it looks yummy! Thank you so much for sharing with Full Plate Thursday. Hope you are having a great week end and come back soon! Thanks Kim. My family really enjoyed it.